So, after I realized that I had used up the half moons intended for the main feet, I decided to give it a try to scratch build them today. I didn’t have enough time to do a bigger project today, like the other main foot, and when I was going to start with details, it bugged me that I didn’t have a half moon so I could finish off the foot! 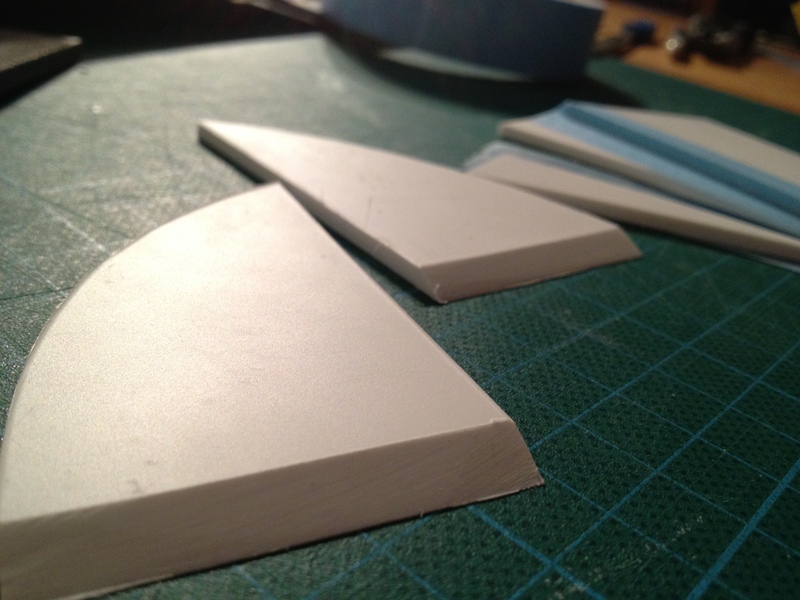 So, I took a look at Dave Everett’s plan for the half-moons, found a few scrap pieces of styrene that worked just enough for this purpose and started cutting. These really requires a lot of chambering, and it needs to be smooth in order to work. Some of my older chamfering attempts was not as successful, but I’m really getting the hang of it! 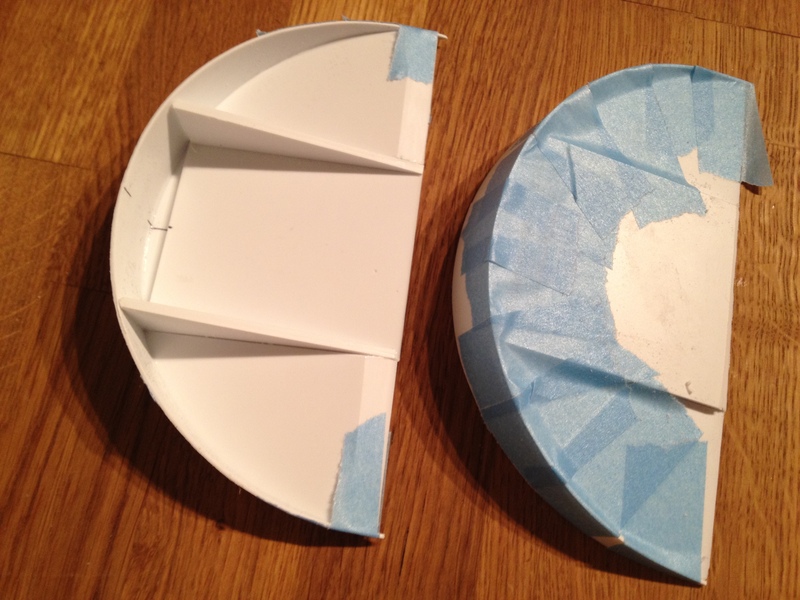 I still don’t have a decent circle cutter, so I had to cut the circular bits freehand. Surprisingly enough, it works quite well when going slow and using a pen scalpel knife! Two half moons (does that make a full moon?) glued up and hardening over night, and all that is left is removing a little excess styrene and sanding them off, and they’re ready to go on my almost completed left foot!